Aged in 100% French oak barrels. Michael Martini learned the subtle art of winemaking and grape growing firsthand while growing up at his family’s winery in the Napa Valley. 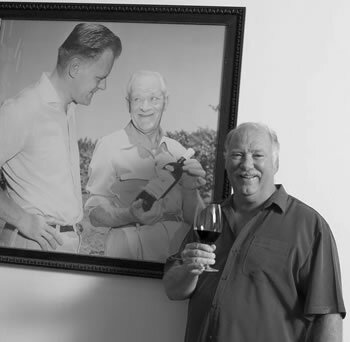 During school holidays, Mike worked alongside his father, Louis P., and grandfather, Louis M., assisting with wine blending and tending to the vines on the family’s many vineyards, including the renowned Monte Rosso Vineyard. Education: Degree in Fermentation Science from UC Davis. Mike served as president of the Napa Valley Vintners’ Association, an organization his grandfather helped establish, and also served as president of the American Society of Enology and Viticulture and the Trellis Alliance at U.C. Davis.